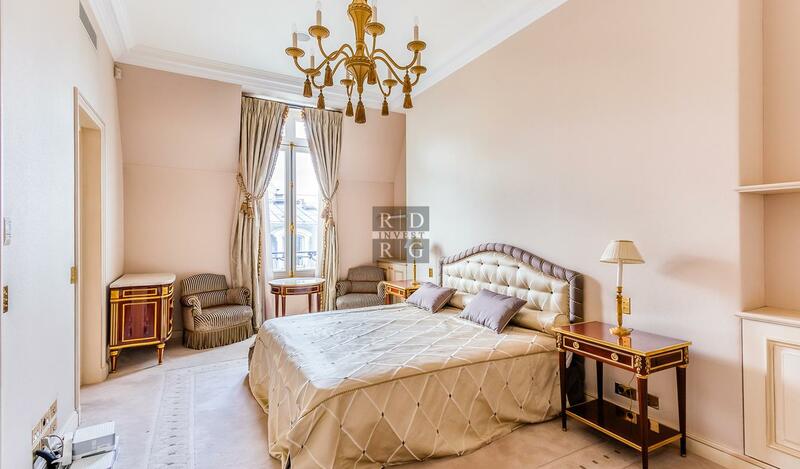 In a luxury Haussmanian building on the fourth floor, sublime reception apartment of 425 m2 completely renovated by renowned architect. Currently configured in 7 rooms including a large and wide entrance, a large oval living room, 2 small lounges, 1 large dining room, an office, 1 master suite with bathroom and large dressing room, a second bedroom with bathroom and a bathroom. great dinner kitchen. The apartment has never been inhabited so far. It has a large balcony running and overlooks the famous square of the United States.